WHO ARE IAN CHRISTIE ELECTRICAL? 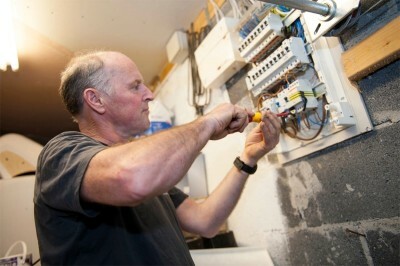 Clontarf Electrician, Ian Christie, has been running his Dublin electrical services business for the past twenty years. In that time Ian Christie Electrical has built up a reputation for his professionalism and high standards of electrical work. He mainly operates a local electrician service in the following areas: Clontarf, Artane, Killester, Fairview, Sutton, Howth, Raheny, Donaghmede, Santry, Marino, Kilbarrack, Coolock and Beaumont. He offers a full range of electrical services to both domestic and commercial clients. Only Registered Electrical Contractors can carry out electrical work in your home. We are registered under Safe Electric and fully insured. On completion of any electrical work our electricians will issue a certificate to indicate that the work is of the approved standard. Ian Christie Electrical provides the full range of electrician services including rewiring, fuseboards, immersion heaters, showers and general electrical repairs throughout Clontarf, Artane, Howth, Fairview, Raheny, Killester, Sutton, Donaghmede, Santry, Marino, Kilbarrack, Coolock and Beaumont, Dublin 3, North Dublin, Ireland. Please Contact us for a free quote on 086 252 5331.